Waterlow Park is a 26 acre (105,000 m²) park to the south east of Highgate Village, in North London, England. It was given to the public by Sir Sydney Waterlow, as “a garden for the gardenless” in 1889. Lauderdale House is at the edge of the park, used as a tea room and for functions and arts events; none of the interior remains in its original state. It is a much modified very old timber framed house, dating back to the sixteenth century. It is surrounded by formal gardens. 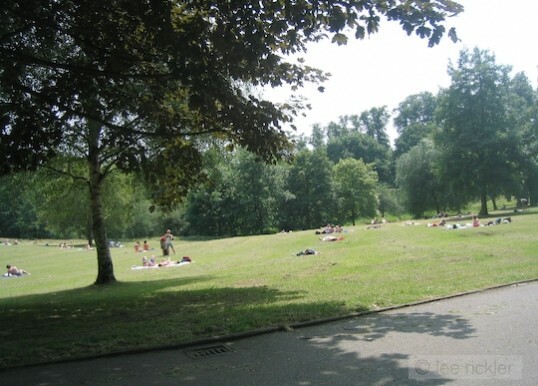 Set on a hillside, the park is set amongst ponds and offers fantastic scenic views across the City of London. It is managed by the London Borough of Camden; after extensive vandalism and neglect, as of 2005, it has been restored. It has been immortalised in a song by Ian Hunter of Mott the Hoople, who recorded it on their album “Wildlife” in 1971.